Always more at Surgenor Ottawa! 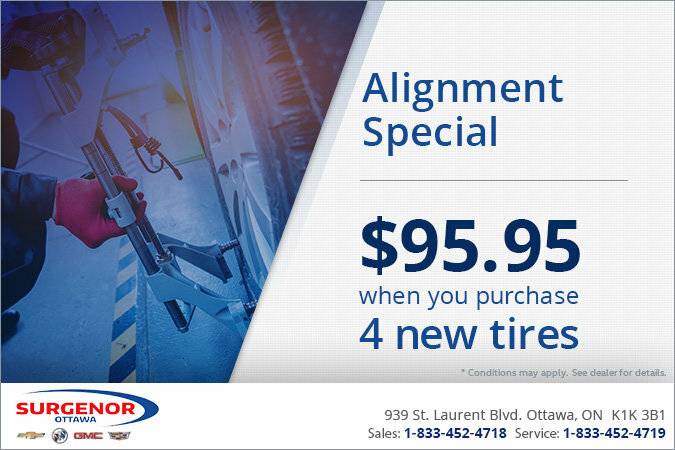 Upon purchase of 4 new tires, receive a wheel alignment for only $95.95! You'll have longer lasting tires.